Not sure all that much explanation is needed for tonight’s album side on The Midnight Tracker. British pop singer Dusty Springfield, hoping to tweak her image and remain relevant, released an LP full of R&B songs. Though seven of its 11 songs were written by Randy Newman and Brill Building greats Gerry Goffin, Carole King, Barry Mann and Cynthia Weill, they were delivered soulfully by Springfield, who was backed by the Memphis Cats and the Sweet Inspirations. The LP had a smash single in “Son Of A Preacher Man,” which reached the Top 10 in early 1969. “Dusty in Memphis” became a classic. A year later, Springfield tried the same formula, turning from Memphis to Philadelphia. “A Brand New Me” was full of R&B songs written and produced by Kenny Gamble and Leon Huff. When this was recorded in Philly in the fall of 1969, Gamble and Huff were up-and-comers, still more than a year away from founding Philadelphia International Records. Dusty in Philly wasn’t as popular as Dusty in Memphis. The title cut, “Brand New Me” was the big single, but it barely reached the Top 25 on the U.S. pop chart in early 1970. The LP reached No. 35 in the UK, but it didn’t even crack the Top 100 in the U.S. It turned out to be the last LP she recorded in the States to be released. 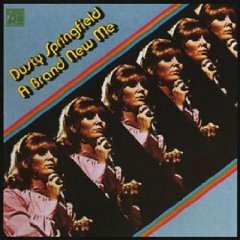 Still, there’s lots to like about “A Brand New Me.” You really can’t go wrong with this combination of Springfield’s soulful vocals and those smooth, sophisticated, upbeat Gamble and Huff songs. “Brand New Me,” “Joe,” “Silly, Silly Fool,” “The Star Of My Show” and “Let’s Talk It Over,” Dusty Springfield, from “A Brand New Me,” 1970. It’s out of print but is available digitally. This is Side 2. It runs 12:12. The men who wrote these songs became a who’s who of Philly soul. Gamble co-wrote all five cuts, the last three with Huff. His co-writers on “Joe” were singer Jerry Butler and another up-and-coming Philly producer, Thom Bell. His co-writers on “Silly, Silly Fool” were songwriter Allan Felder and guitarist and arranger Norman Harris, both also early in careers that saw them collaborate on some of the greatest Philly soul hits of the ’70s. Springfield recorded a second LP with Gamble and Huff, but it wasn’t released. Some of those songs finally saw the light as bonus cuts on CD re-releases in 1992 and 2002. They also are available digitally.